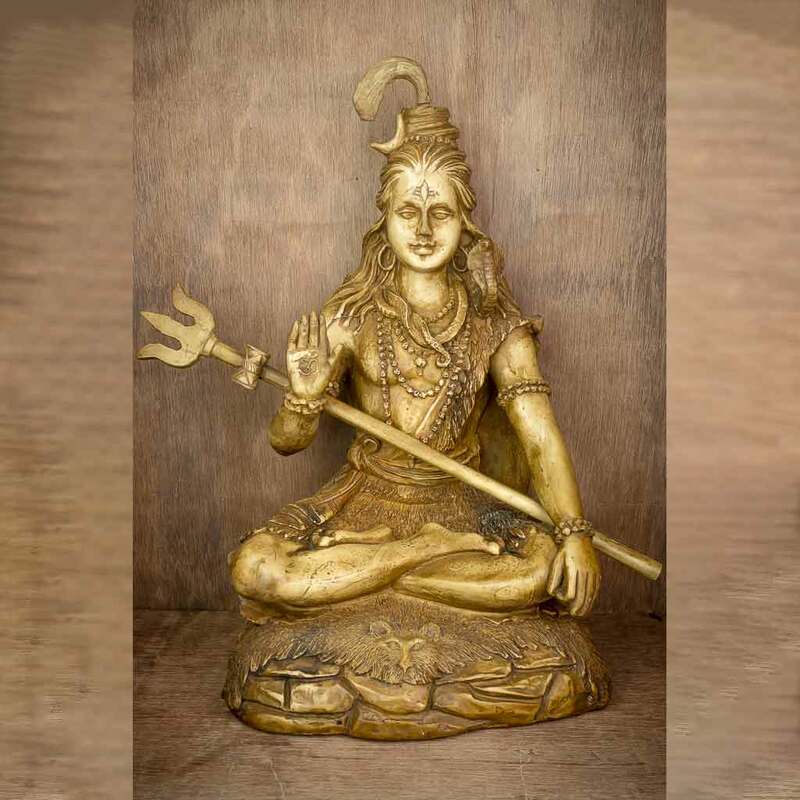 Lord Shiva is supposed to be one of the three supreme powers. 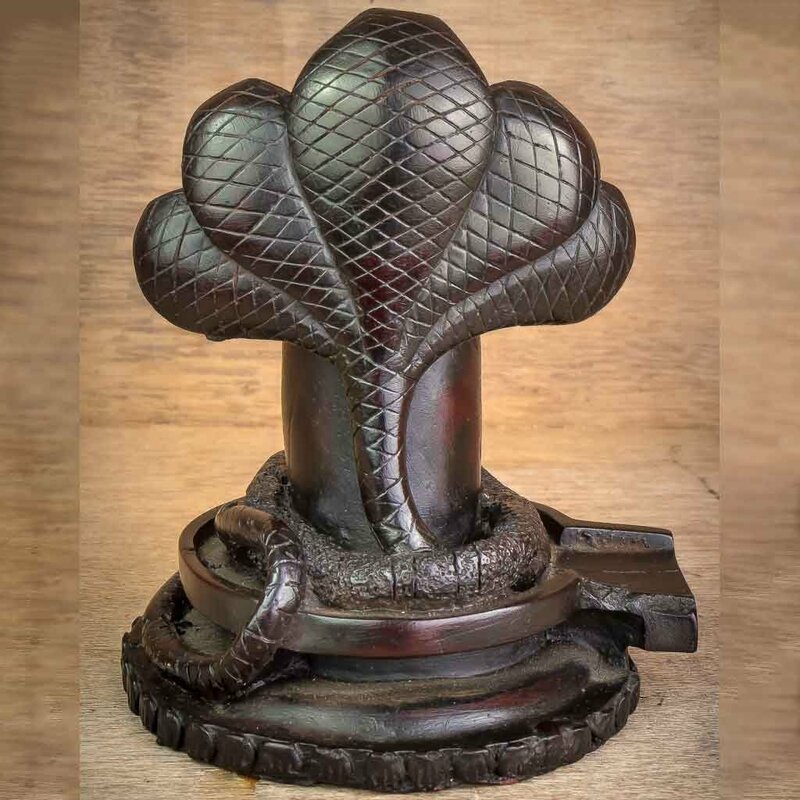 This statue of Shivalinga covered by snakes is the representation of Lord Shiva in his ornament;snakes. 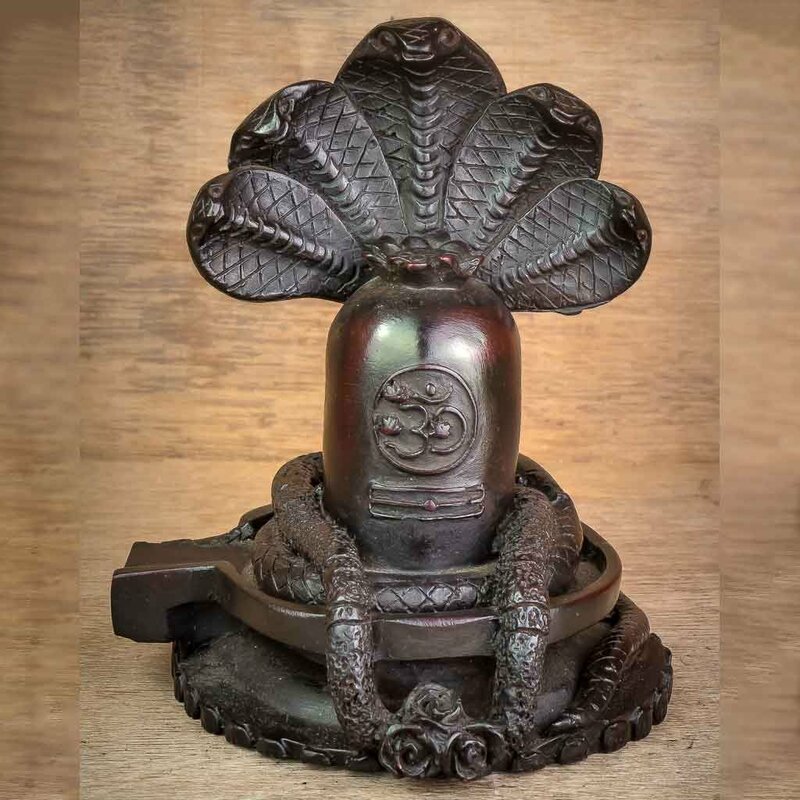 Lord Shiva shows us that he controls fear and death by wearing snake as ornament. 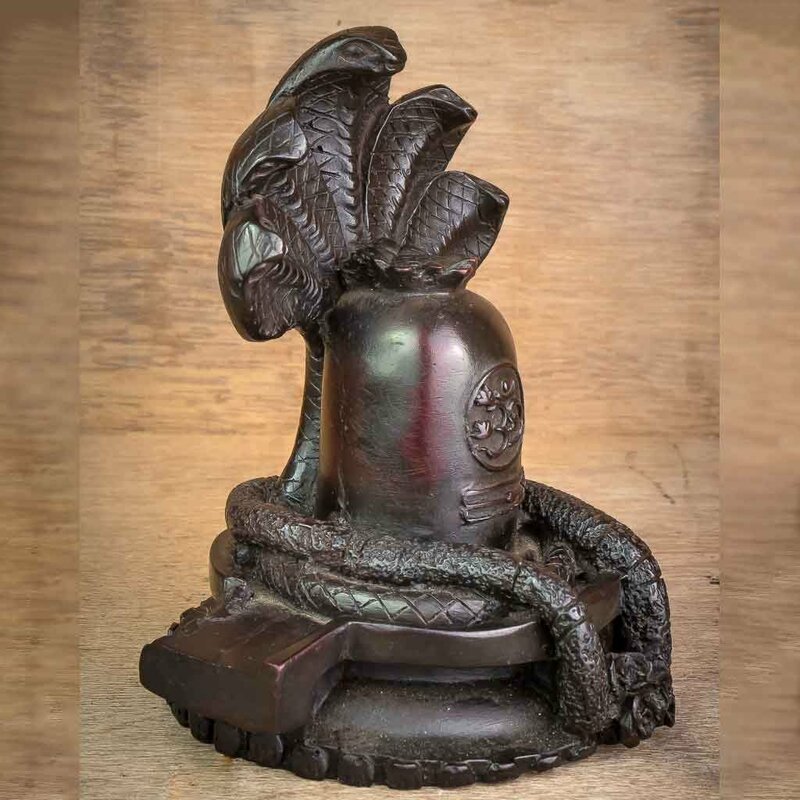 There is a story that when the snake species were endangered, they approach Lord Shiva for Shelter. Lord Shiva gave them shelter by letting them stay in Mount Kailash. 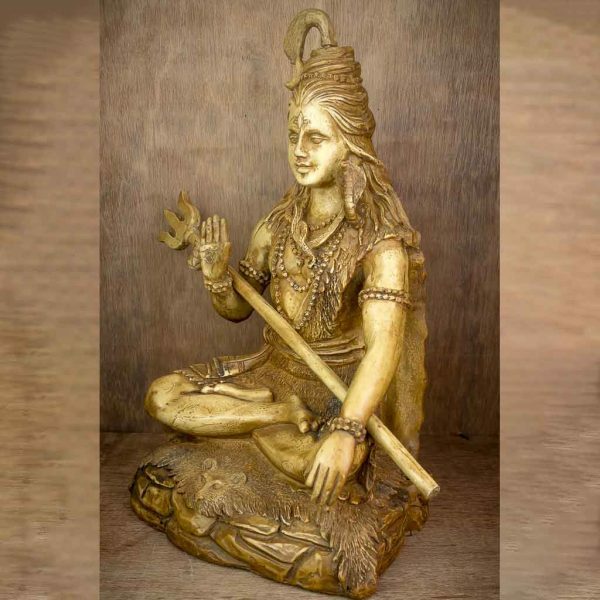 But due to cold weather,the snakes used to approach Lord Shiva for warmth of Body. He as a protector used to wore these snakes as ornament to provide warmth. 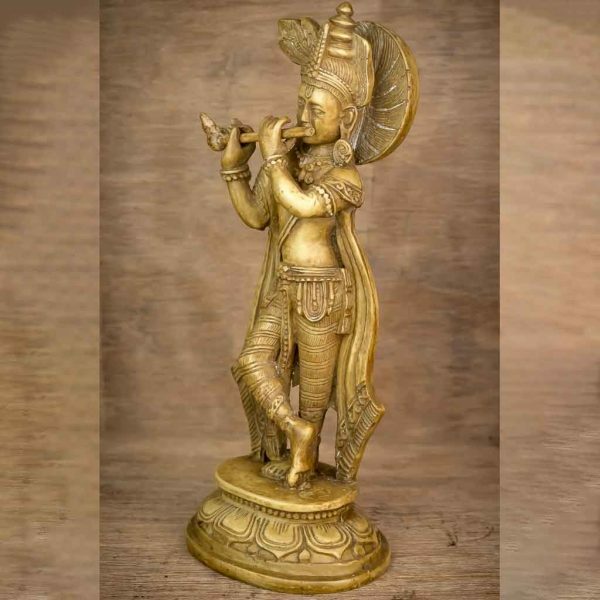 And this statue is the depiction of this story holding great angelic value. 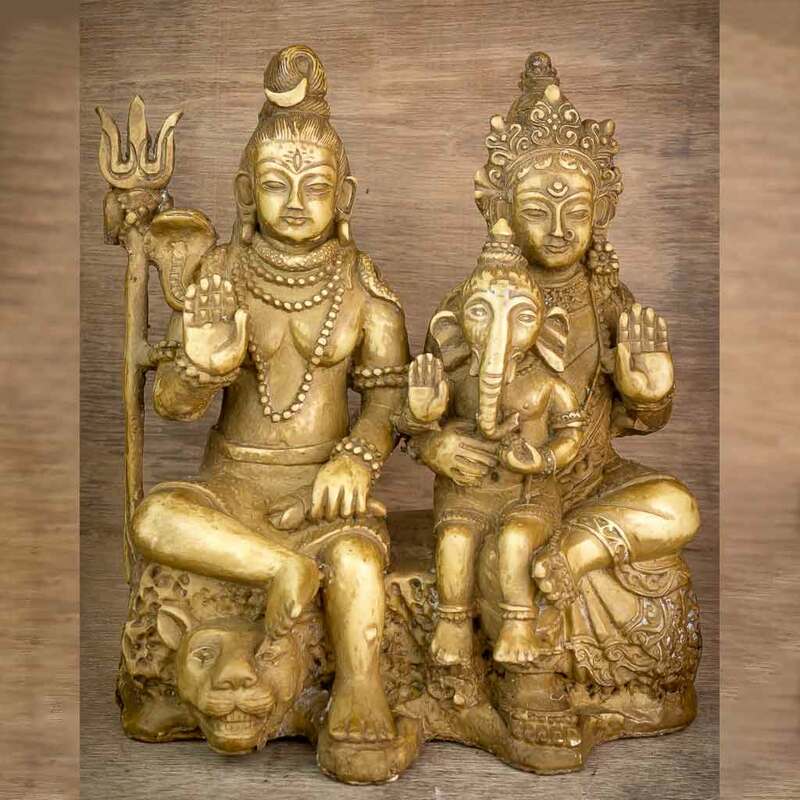 This is the family of Lord Shiva. 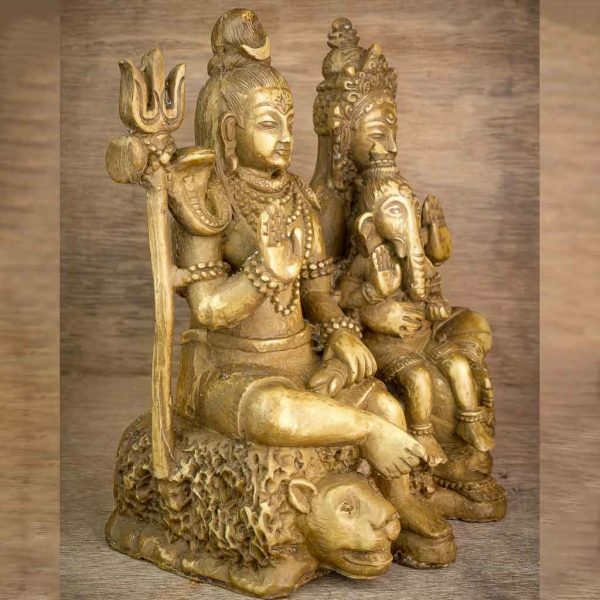 Lord Shiva and Parvati with their son Lord Ganesh seated in a bull; Nandi ,Vahan of Lord Shiva. 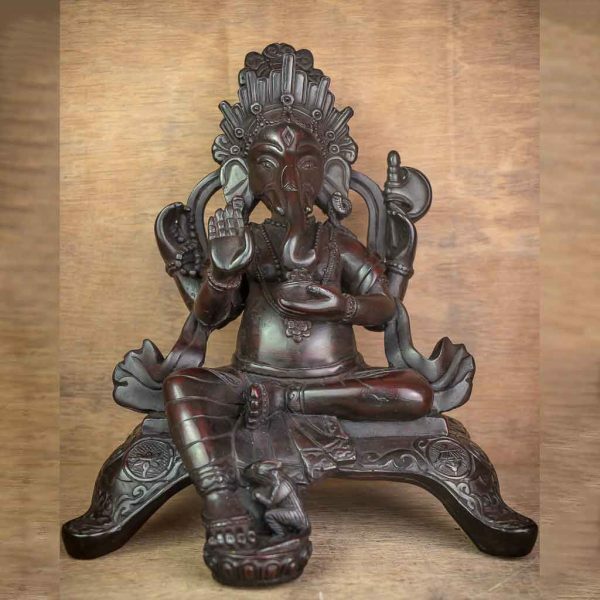 This is one of the most valuable statue from the collection with the three important Gods of Hindu pantheon placed together. 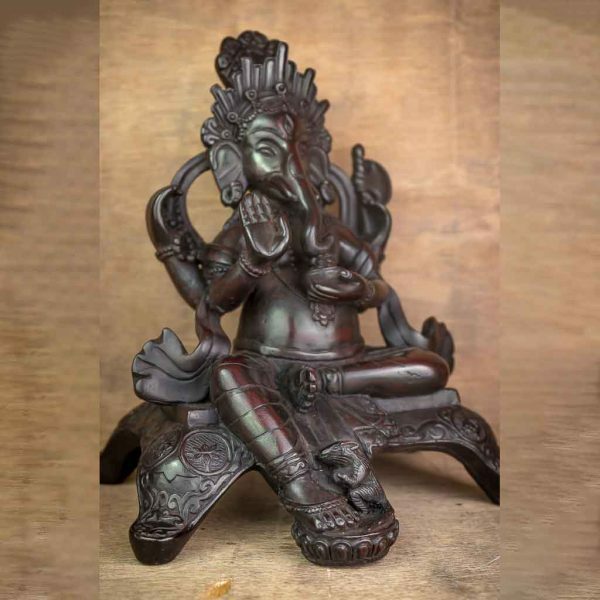 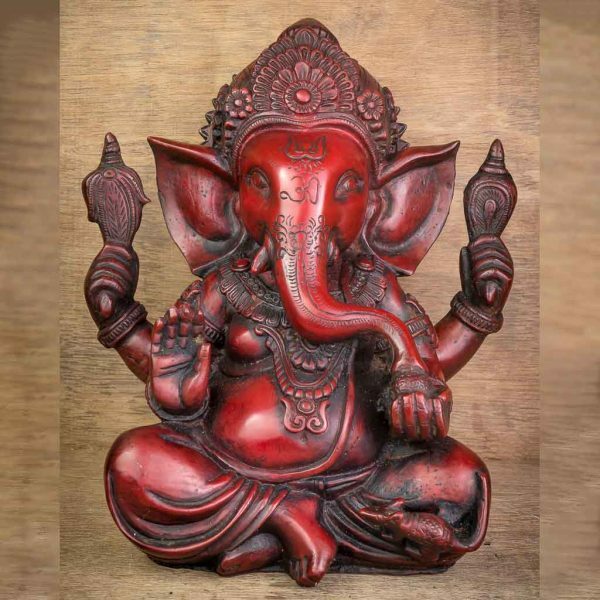 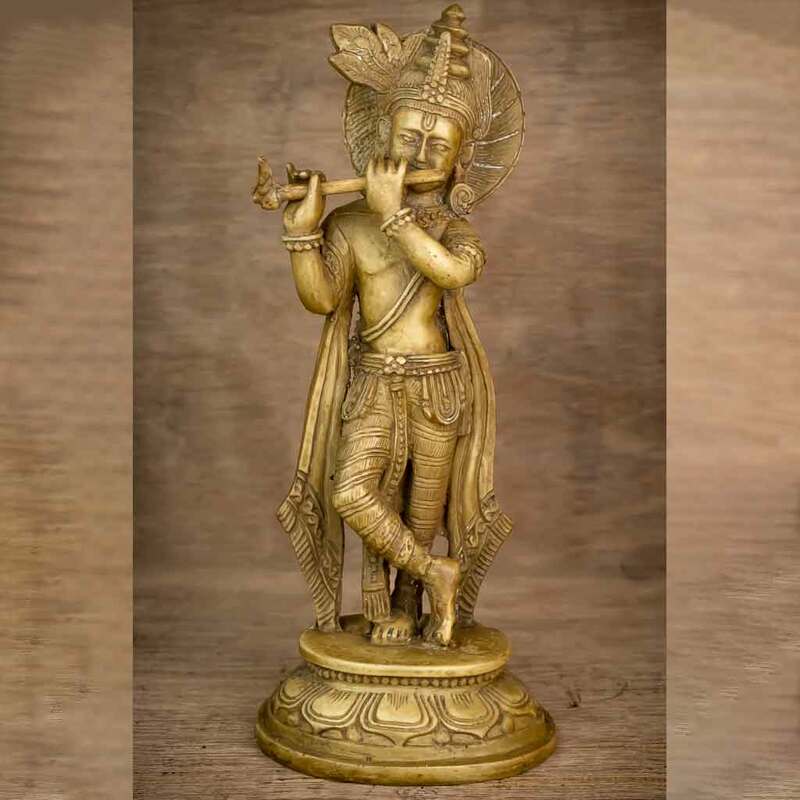 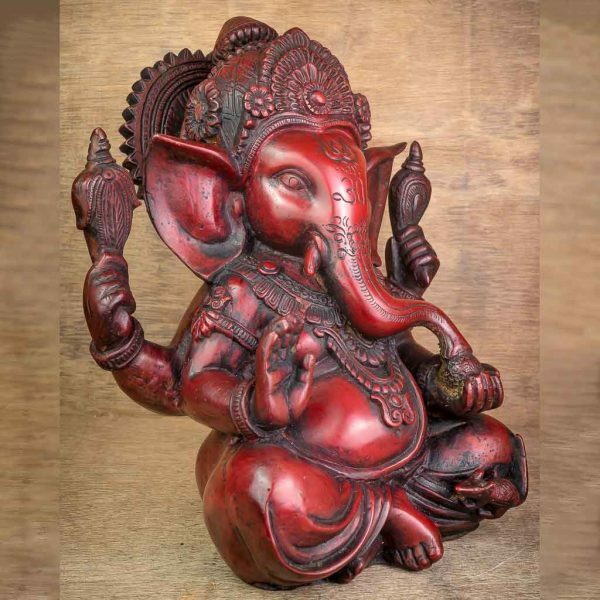 With the firm base, this statue can be easily placed in a Pooja or decor room and are available in three different colors; ivory, black and red.